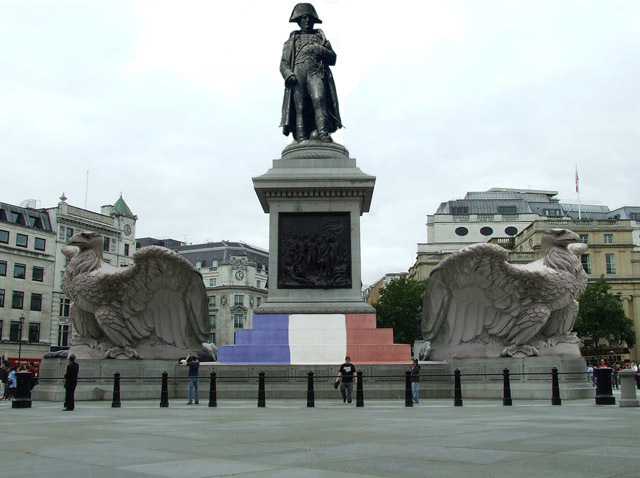 If Napoleon had won, Trafalgar Square would have been a very different place. For starters, it would have probably been called Austerlitz Square, or something. And there would be no need to employ hawks to scare off the pigeons. A set of imperial eagles would have sorted that one out. Why don't we make this a theme? Please send in your images of how the capital might have looked had we not won certain wars. We'll give £20 to the creator of the best Touch Up London Parallel Universe image. So get photoshopping and send entries to londonist at gmail dot com. Image created by M@ based on a Flickr image by rrubio.